In a market filled with so many tremolo pedals, we knew we had to produce something truly unique. The Plush tremolo is designed to emulate the unique sound of the Fender Brownface tremolo, one of the more unique and sought after tremolo tones. 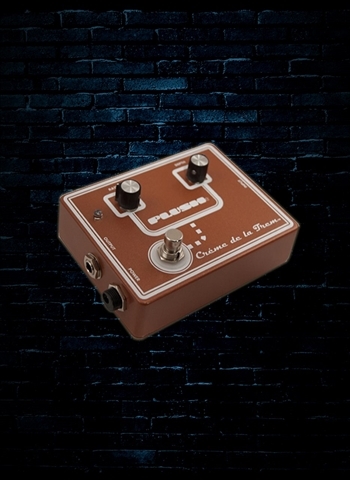 Not only does it provide level variation, but the subtle tonal shifts, not unlike a rotating speaker or chorus, unavailable in any other tremolo pedal. Lush, full, spacious and quiet. Simple rate and depth controls allow you to tailor the tone to your exact needs. True hard wire bypass, battery or adaptor power.